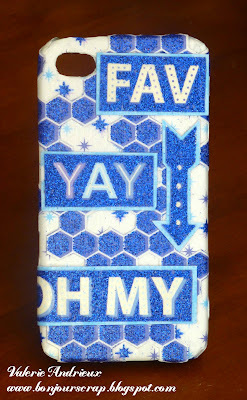 Using Mod Podge, I glued the star paper over the case, and trimmed the excess once dried. I cut the honeycomb paper by letting peek-through holes to see the star paper, and added some matted words and arrow from the same stack. At the end, I applied a coat of Mod Podge all over the case.